So before I left for school my mom and I were working on “simplifying” my room. It was just cluttered with little knick knacks from middle school and I wanted it to feel older now that I was going to college. Doesn't really make sense I know, but I want some place that I can come home to that I feel comfortable in and a place that inspires me! 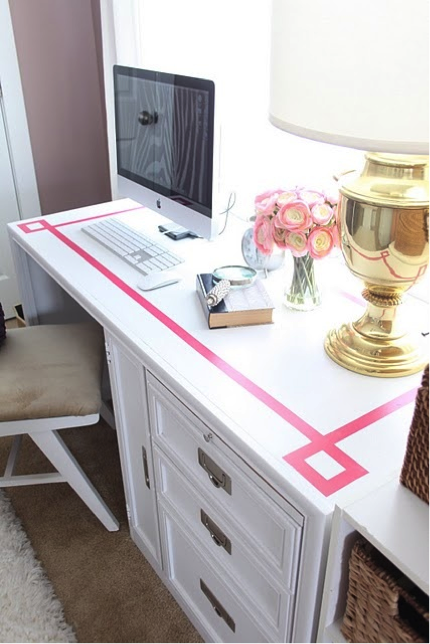 I saw this picture on Pinterest and instantly knew I needed to transform my desk. What else is there to do on a hot summer day? I forgot to take a before pictures, but my desk was just plain white and then in 8th grade we had a piece of glass cut for the top and I had a million pictures stuffed under the glass (this was the time of Picnick, so I'm sure you can imagine the pictures that we're under there). 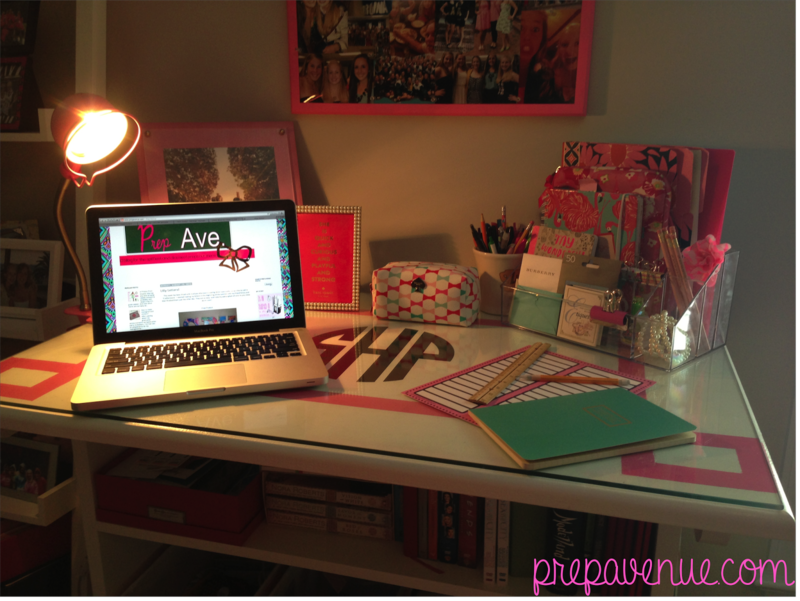 As much as I love pictures they were outdated and made the desk look cluttered. I enlisted some help, thank you fab 4, and we all made a trip to Lowes for some pink paint and blue tape and got started! They were thrilled to spend their afternoon helping me paint my desk. First we taped the design (the hardest part honestly) off with blue paint tape and then we simply just started filling in! We did a few coats of paint and let it dry over night. And in the morning the tape was ready to come off! I got a big monogram sticker to go in the middle of the pink design to tie it all together! I was able to go to a local shop called Swagger and order the exact size I wanted. I think it turned out pretty good if I do say so myself. I put the piece of glass back on top of the desk to finish it all off! Here are some bigger pictures! What do you think? How have you transformed a piece of furniture into something you love again? 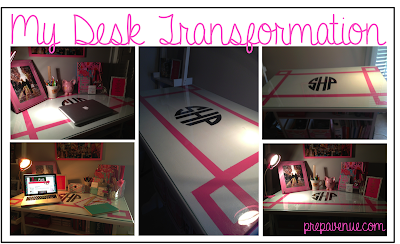 I love how your desk turned out - it's super cute! 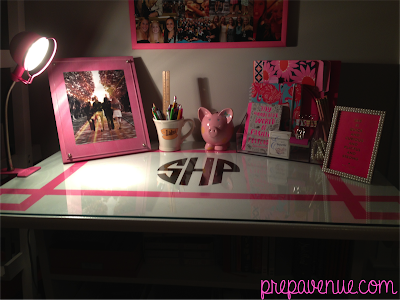 It has definitely made me want to pretty-ify my desk more! Thanks! I was surprised how easy it was! I know! I completely understand, my desk at school is so plain compared to that one! That's lovely, it certainly brightens up the desk and your work space looks colourful. Thank you! It definitely add a pop of color to my room! That's a really good idea! I love greek key print so of course this desk is amazing! Wow your desk looks amazing! I especially love how everything matches. I absolutely LOVE this idea! 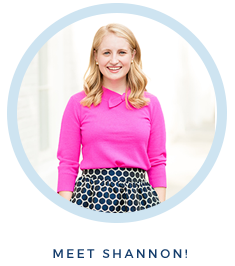 I'm such a monogramaholic, and am now so excited to give this a go!! Love this, I'm redecorating my room this sumer and this is a fab idea. Where did you get your desk? Had to think forward regarding those ideas so we would be able to summarize our own limits and regarding what we actually needs to be done, so there would be less worries forward.